Speakal’s iCrystal iPod Speaker Dock is a whimsical docking station with two unique speakers. The touch-activated controls react only to human touch. You can control the volume and playback by gently touching the control buttons. A remote control is included to browse through the iPod features. 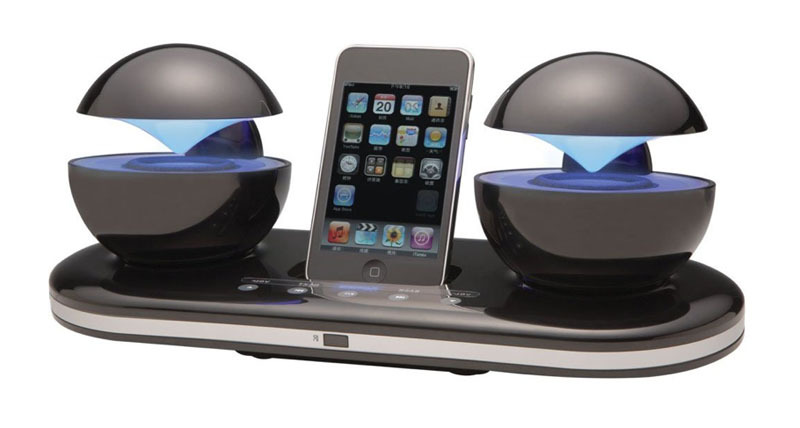 French artist Jean-Michel Jarre designed this futuristic and unique looking iPod speakers, dubbed Aerosystem, which blends technology, art and home decoration all in one. 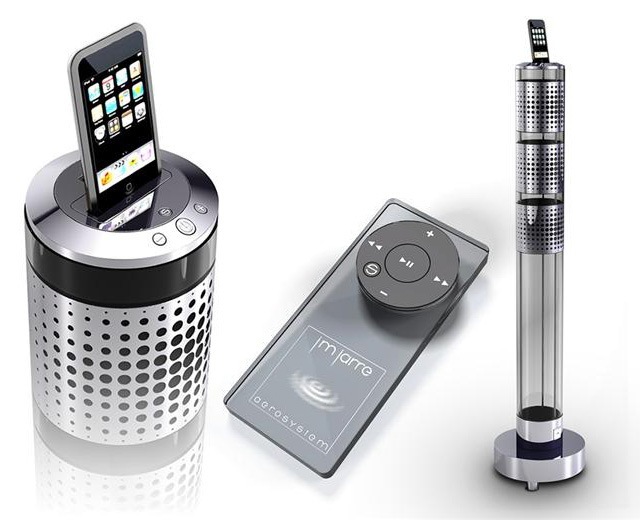 The iPod speakers system also comes with an Apple inspired remote control, two 20W speakers and a 45W subwoofer.